Thanks, guys, you are really boosting my confidence in this. A break-barrel can be effectively set back to be able to rechamber to a proper Ackley Improved chamber by milling the barrel face to effectively set it back, then refitting the barrel to the frame and then doing the rechamber, but I think it would be more difficult on a barrel with a full hinge like the Contender/Encore, H&Rs have a half hinge/pivot, so it's relatively easy to change the hinge position by milling or shimming, I've done this on a fluted 270 Ultra H&R that had a buggered chamber, negative head space and the barrel face wasn't square to the standing breech, and a .279" groove depth which resulted in very poor accuracy. So instead of renting a 270 Win reamer after milling the barrel face and refitting the barrel, I rented a 270 Improved reamer and rechambered it, doing test fitting with factory ammo until it was flush with the chamber face when chambered which resulted in it firing factory ammo just fine, sans any accuracy. Dealing with the overbore was dealt with using 130gr .284" bullets and neck turning the brass so it could be chambered which resulted in an accurate load. You're outta my league, man. I'm learnin' from ya, but I ain't there yet. I was inspired by Bellm's article on relieving pressure by the use of the Ackley chamber. I understand that the scenario described was a chamber created to a virgin barrel as would not be my condition and I kinda wanna know if it's worth the gain. I think the big, maybe overlooked, advantage of improved cartridges is improved accuracy. I also fireform brass using the false shoulder method Quick described for rimmed cases, then headspace on that sharp 40% shoulder. Made a world of difference with a TCR 22 Hornet converted to K Hornet. All of my tip-up rifles (TCRs and Handis) were made for or altered to accept rimmed cases. The rim, IMHO, is a big help for reliable extraction; partial size and headspace on the shoulder for accuracy and improved case life. Just what has worked for me. Thanks, pdkfising, for pointing out the added accuracy potential of an improved chamber and the preference of rimmed cartridge design in break-actions. I have some improved chambers that have been cut to accommodate the rim of the new parent case (.358x444Imp, utilizes shortened 35 Whelen Imp. dies). I'm constrained to the pressure tolerances of the contender, and I try to be ever-mindful during my selection of loadings. Determining PSI/CUP conditions upon firing a given formulation of components is not always an obvious conclusion. Seating long and using resistance of rifling to compensate for misgiven headspace can result in pressure spikes, more so with jacketed bullets than cast I would think... but I shoot predominantly jacketed. Perhaps I need to utilize more cast and slow my roll. Now for the crux of my situation, I’m shooting the 250 Savage. I know that it’s dabbling on the dark side when it comes to the contender and it's tolerances to breech thrust. But it can be safely loaded for the platform. The Ackley version of the cartridge becomes even more attractive in regards to pressures. Even the fire-forming of factory brass relieves a bit of pressure in the process as cited by Bellm in the article on the 300 Savage use in the contender. The SAAMI pressure for the 300 Savage is 46,000 psi while the 250 Savage is only 45,000. I only use loads that will generate only 39,000, and I figure, correct me if I'm wrong, if I cut the chamber to an Ackley shoulder and more parallel walls that I would enjoy an even more relieved pressure upon firing same component loads. "Seating long and using resistance of rifling to compensate for misgiven headspace can result in pressure spikes, more so with jacketed bullets than cast I would think... but I shoot predominantly jacketed. Perhaps I need to utilize more cast and slow my roll." One, you are only seating the cast bullet against the rifling for the first shot, and that "fireform load" can be tailored to exactly what you are doing on that first shot. It truly is not at all scary. I would not have suggested it if I thought it was. Once you start casting the world truly is your oyster. There is just something about owning the bullet factory that I cannot explain with words. 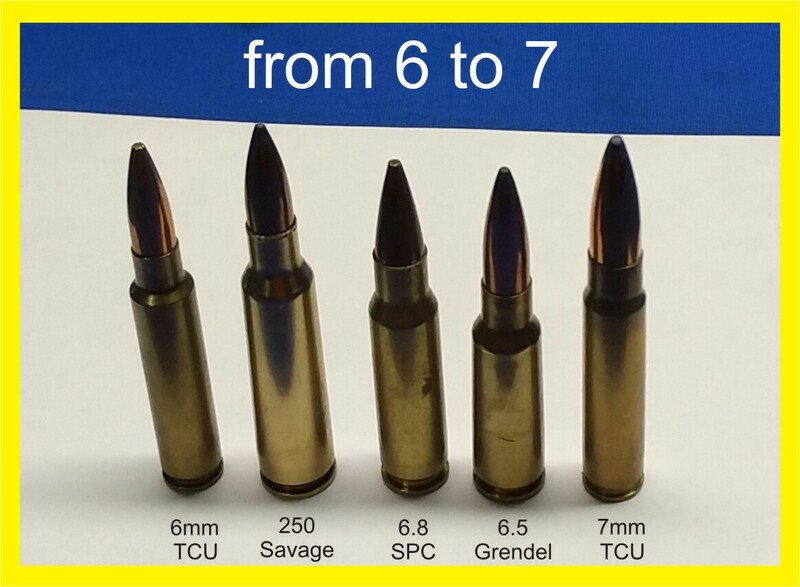 It will not be easy at first with upper end loads in small rifle rounds. There is a long learning curve for upper end performance with cast. It is a marathon, not a sprint. It will not be cheap in the beginning either, but when you get "there" you might just find out that Nirvana is not just a grunge band from the 90's. I have a lot of toys and exactly three of them still shoot them red skinned heathen bullets that are sold to the unwashed masses. The rest.... I MADE. That feeling of self reliance and accomplishment is truly priceless. That feeling cannot be conveyed with any amount of words. I truly hate to say this out loud, but....If I were doing exactly what you are doing, I think I would buy one of them gawd awfully ugly little baby G2 encores. I have seen a G1 frame stretched with just a standard 30Herrett by a guy that thought he could guess upper end chamber pressures using QuckLoad and by dissecting a bunch of book data. In the end it is your time and money though so my opinion on that does not truly matter. Chuck D., I take those as sage words and find it's good to get honest input from a veteran of shooting. I will consider all your points.